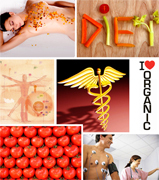 Organic food products manufacturing with organic lycopene to supplement to food suppliers and the health care market. Italian organic dietary health care supplies to support worldwide organic health care and industrial food distribution business. HEART AND CANCER DISEASE PREVENTION using LYCOMPLETE a product with Organic Lycopene to prevent cardiovascular diseases including stroke, No. 1 killer in the USA, and Cancer. Lycomplete was created to prevent these diseases, it's a natural Organic Lycopene pill used every day as food and health dietary supplement. 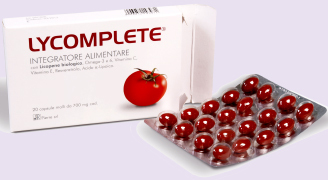 LYCOMPLETE: prevent the cardiovascular disease, composed by organic lycopene, Omega 3, Omega 6, Vitamina C, Resveratrol, and alfa Lipoic Acid. ORGANIC PRODUCTS Lycopene it's the only natural certified "Organic Product" in the world. HEALTH FOOD FREE OF TOXICS: products free of chemical solvents, pesticides, heavy metals and other toxic noxious chemical components. PERFECT BIOVAILABILITY: transfer process from ingested food to human blood and tissues. DISEASE PREVENTION: Lycopene properties as "anti Oxidant", "anti Cardiovascular disease" and "anti Cancer".